I went out for dinner with my roommates tonight. We thought it’d make sense to actually start getting to know each other seeing as we’ll be living together for the next few months. 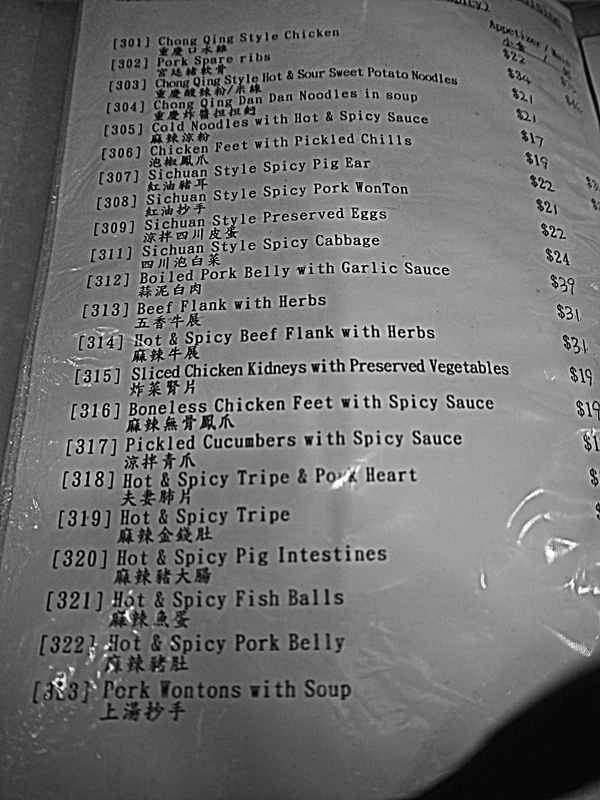 First off, I think you’d find a certain page of the menu pretty interesting. Below is a photo of what I got. 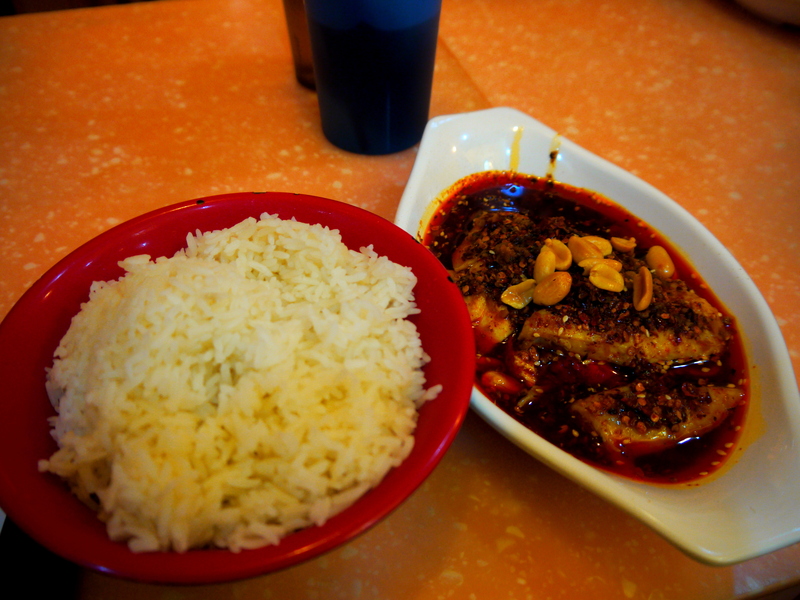 Still thinking in my American mindset where “really spicy” food barely makes my tongue tingle, I ordered a dish of rice with the spiciest peanut sauce. I don’t remember the last time I ate a meal while using up so many kleenex tissues. I won’t say what for, to avoid the TMI. Tonight I ate rice and fire, and I am alive to write about it. Take a look at those pepper seeds! I have learnt my lesson. Looks sooo yummy!!! Learn some recipes while you’re there!!! Looks yummy!! Learn some recipes while you’re there!!! It was so painful eating it, but so yummy! And I’m definitely going to learn how to make a few of these things!